Could polio be eradicated by 2018? Poliomyelitis – or polio – could be gone by 2018, according to the latest data from the World Health Organisation. Only seven cases have been identified globally so far this year. It is highly infectious and can invade the nervous system and cause total paralysis in a matter of hours. It would be the second disease to be eradicated in the history of mankind, after smallpox. Euronews has been to one of the world’s leading labs, where polio vaccines are produced, near Lyon in France. According to a strategic polio plan, the way forward is to switch the current vaccination pattern to include doses of inactivated vaccine. 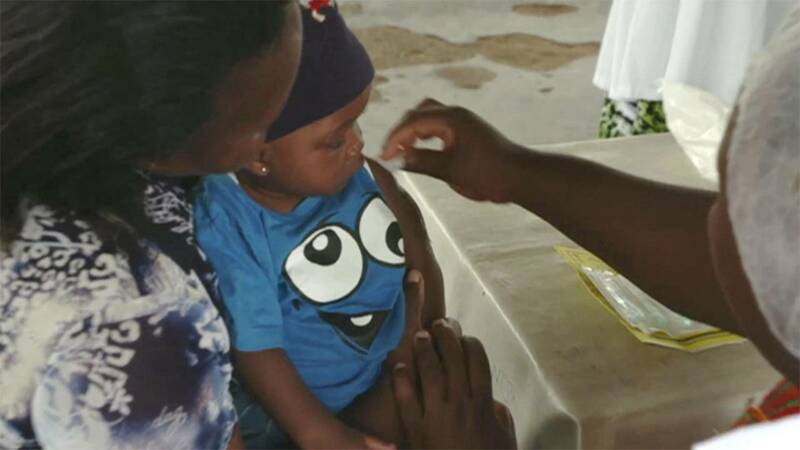 “Existing vaccination systems are based on what we call trivalent vaccines (Oral Polio Vaccine OPV),” explained Joël Calmet, Senior Scientific Director at Sanofi Pasteur. The aim of this new type of vaccine, whose mass distribution has just started, is to cut the risks of contagion. Instability generated by conflicts around the world is a challenge, but not the only one. “There is a first risk linked to safety. If we could have safe access to all children living in regions where polio is still endemic, it would be solved very quickly,” said Calmet. In the late 1980s, there were 350-thousand cases of polio in more than 125 countries. Now Pakistan and Afghanistan are listed as the only two endemic countries.